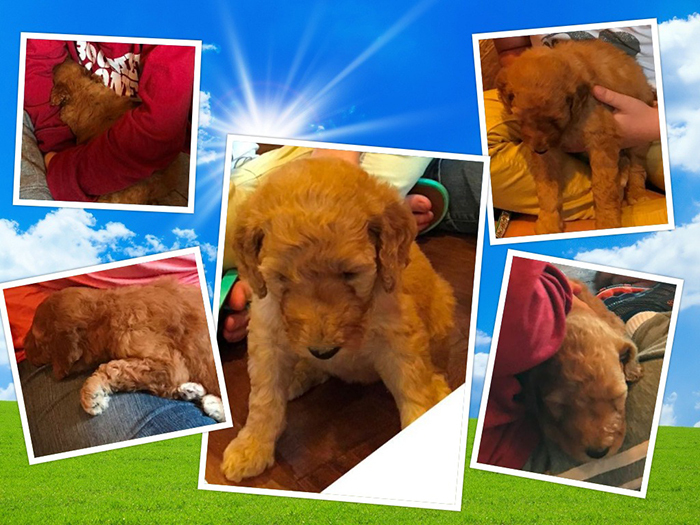 Introducing Ginger and Sunny, the latest addition to the Asa Smith/Parks Brothers Funeral Service. 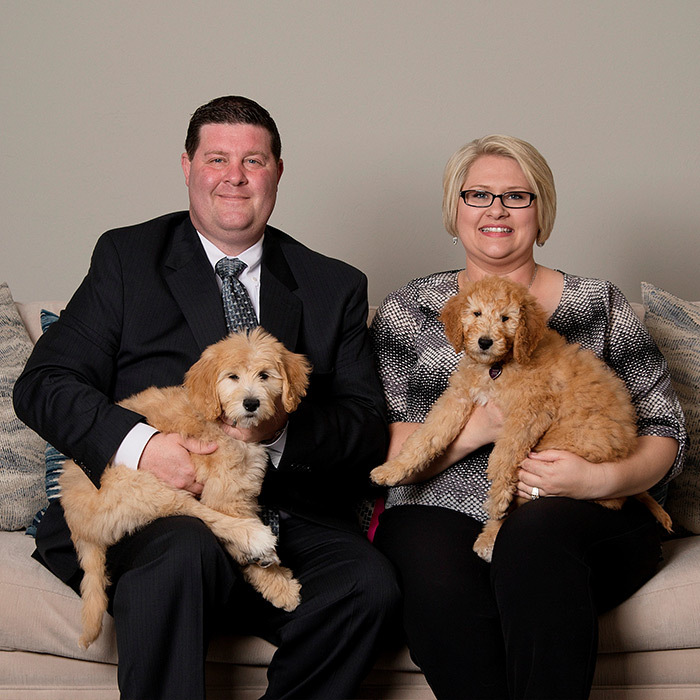 Their handlers are Todd and Tiffany Tramel. 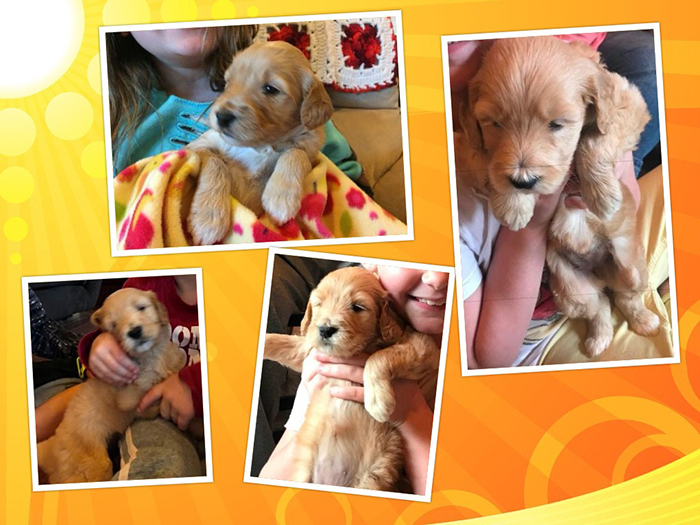 Ginger and Sunny are both girls, sisters born of the same litter on Valentine’s Day 2018. They live at home with the Tramel’s in the evening and come to the funeral home every day during business hours. 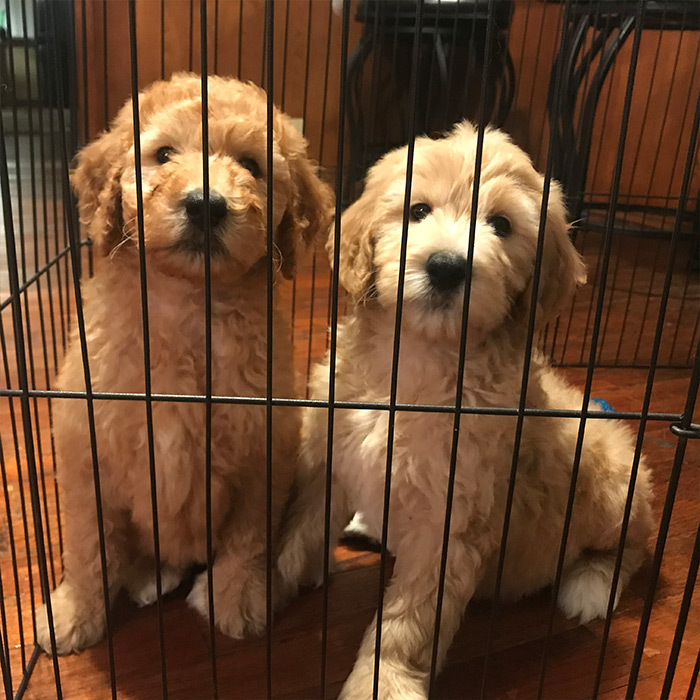 We brought them into our family when they were only 8 weeks old. They’ve brought such joy to our lives. Our three children have played endless hours with Ginger and Sunny. We had their 12 week check up with Dr. Link at Deer Creek Animal Clinic and they are healthy puppies. We are going to begin their training soon and will work with them until they become certified as Therapy Dogs. We can already see the endless possibilities for these sweet girls. What are the benefits of therapy dogs when it comes to funerals? 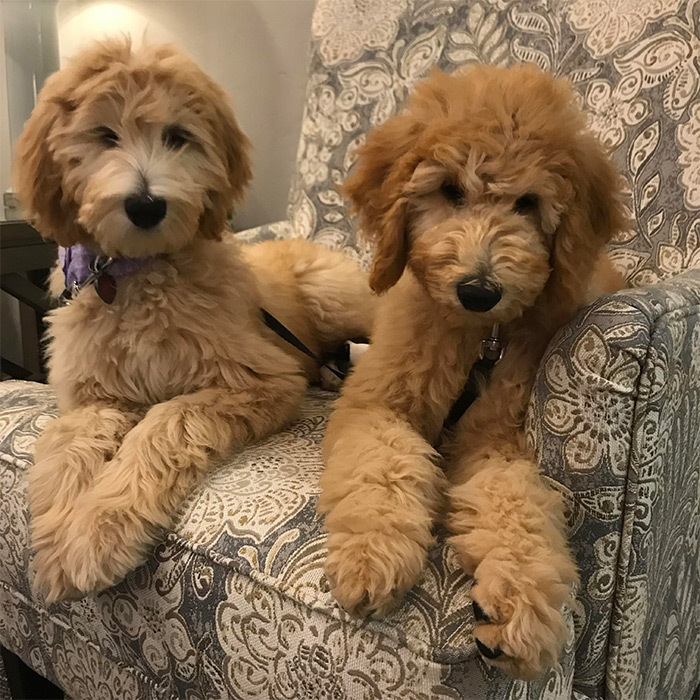 Whether they’re used in hospitals, schools, rehabilitation centers, hospices, psychotherapy offices, nursing homes, universities, airports, or crisis situations, therapy dogs can provide invaluable psychological and physiological support to individuals in need. After all, the act of simply petting a dog has been shown to decrease stress hormone levels, regulate breathing, and lower blood pressure. 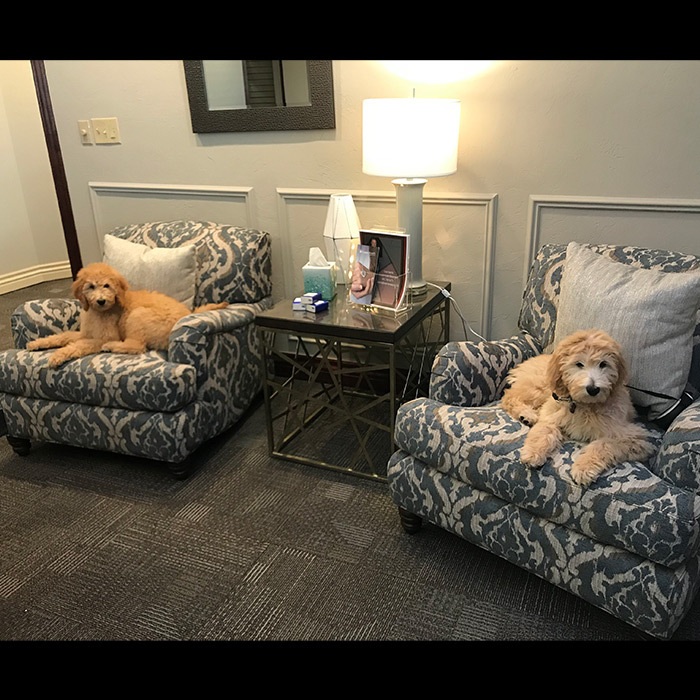 And since the death of a loved one can be a very traumatizing experience for people, it makes sense that therapy dogs would be a great fit for the funeral home environment. They can be in the room when grieving families make arrangements. They can attend wakes and funerals, if the mourners wish. It’s always up to the family and we watch closely to see whether everyone is comfortable with the idea. 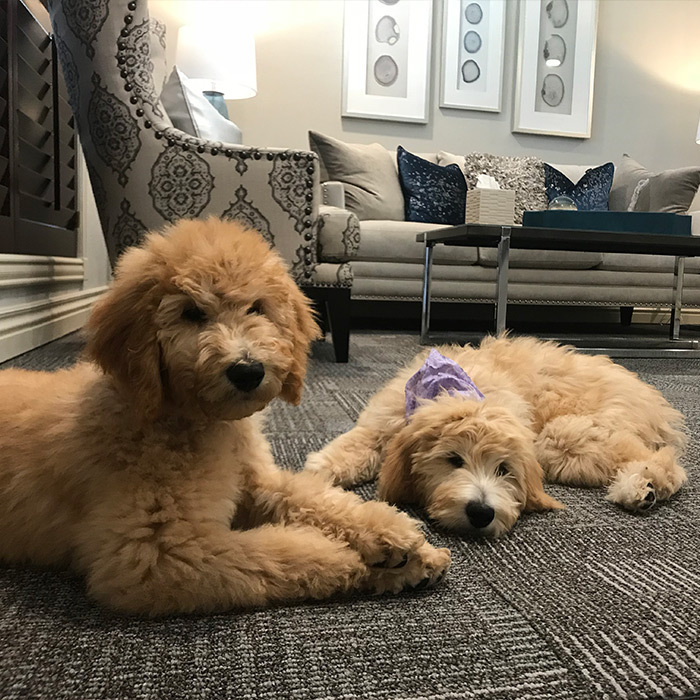 Funeral Homes all over the United States are seeing the benefits of therapy dogs.